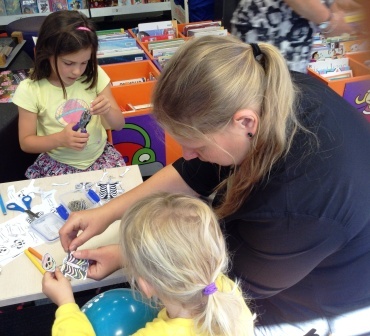 Christchurch City Libraries will be hosting lots of scientific fun this year. Working closely with Science Alive, ten of our libraries will host after school sessions. View the Semester One timetable (classes start on 10 February). In 2013 4000 children and adults attended these sessions which showcased fun activities like the amazing lightning ball (which literally made people’s hair stand on end) and making skeletons. Skilled presenters introduced children to the science behind these activities. Science Alive is a not-for-profit trust is dedicated to promoting the value of science and technology to the public. To find out where these free programmes are running this year check our Events calendar. Something to look forward to later in the year are sessions showing children how to grow their own crystals (it’s the International Year of Crystallography). This summer the trust co-sponsored the Summertime Reading Adventure. They also hosted 16 free sessions in libraries during January which were a roaring success. Nearly 400 kids of all ages enjoyed these. In March our librarians will be heading out to the Under 5 Festival to tell stories as part of this Science Alive initiative to introduce preschoolers to science. Sounds like a lot of fun will be had. Have you ever met a poet? We are hosting four sessions with children’s poet Greg O’Connell as part of our Summertime Reading Club. 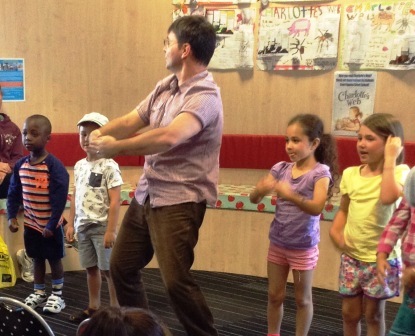 Children at Papanui and Linwood @ Eastgate libraries were delighted with the performances this week and there is still time for you to come to South Library at 11am or Shirley Library at 2pm on Monday 20 January for a free 30 minutes of original poetry and fun. Originally from Oamaru, Greg has been a teacher and children’s librarian but has now branched out into visiting schools to perform his poetry and writing original poems for the School Journal. Some of his little fans were at the Papanui library session and they took great delight in hearing their favourite poems again. 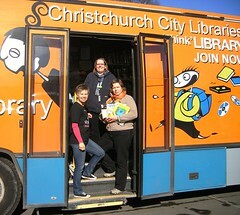 The concerts are part of the Summertime Reading Club activities run by Christchurch City Libraries every year. Visit your local library or Paper Plus store to pick up a reading map for girls and boys aged between 5 and 12 years. There are exciting prizes to be won. 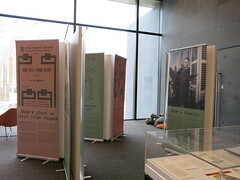 See the Christchurch kids blog for more details. There is also a film competition for older children. Final date for entries for both competitions is 24 January. “I never thought I could care so passionately for a zombie…” says Stephenie Meyer on the cover of Warm Bodies. And she’s right. R is a strangely compelling male romantic lead, even though he is dead and has no lips and can’t remember who he is – or was. He thinks he might have been some kind of office worker because he is wearing the remains of a suit. But like the other zombies drifting around the abandoned airport, the past is a blur of half memories that don’t stay still long enough to make any sense. They can only talk in sentences of one or two words and only feel pleasure when they eat the brains of the few still-human survivors they hunt down in the nearby wrecked city. But something strange is happening to R. During a raid for food, he eats the brain of a young man and feels his overwhelming love for the girl cowering in the corner. So, instead of eating her, R takes her back to the airport smothered in the blood of her lover to distract the other zombies from eating her. Sounds gross – it is. But also oddly touching. And now R is in big trouble for keeping her, instead of making her his lunch. 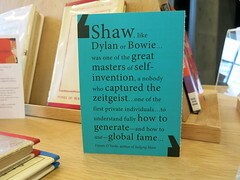 This is the first novel of Isaac Marion who describes himself as “not married, has no children, and did not go to college or win any prizes.” Based on a short story, the novel is also about to be released as a feature film including John Malkovich in the cast. Zombies are very popular in literature and on film these days, so we are running a holiday programme designed especially for children aged 10 to 14 years. On 10 January at Upper Riccarton Library you can have your face painted, listen to zombie stories, create a zombie poster and share a zombie feast. Just ring 941 7923 to register for lots of bloody fun. Adult Learners’ Week: Te Tangata Matauranga was launched at the temporary headquarters of ARAS (Adult Reading Assistance Scheme) last night. This international UNESCO event has been celebrated in Aotearoa since 1998. More than 40 countries have learning festivals to acknowledge adult learning in their communities. 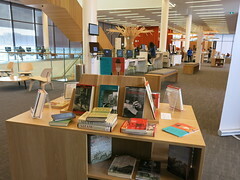 Christchurch City Libraries is running classes in computer skills, Creating Readers at Home and Cellphones for Beginners. Check our list of events. One of the speakers at the launch, Jason Tiatia (Toa Sports Co-ordinator) also reminded us that this year Adult Learners’ Week coincides with Tongan Language Week. Visit our catalogue to see our collection of items about Tonga and in the Tongan language. Well, the weather wasn’t warm, but the atmosphere inside the Storylines 2012 Free Family Day at Cathedral College last Sunday was very toasty. Numbers weren’t as high as usual, but those families who did make it were very enthusiastic. 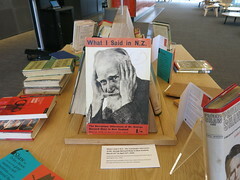 There was a wide range of New Zealand’s best children’s writers to listen to and many great tips for good reads. 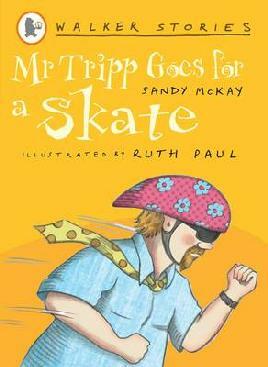 Sandy Mackay, a Dunedin writer, has just released the second in a series, Mr Tripp Goes for a Skate a fun collection of three stories for junior primary readers. Sarona Aiono-Iosefa, a Christchurch-based writer read us her wonderful Blackcurrant Jam short story (published in Out of the Deep) an anthology of New Zealand and Pacific stories published to celebrate 2007 Children’s Book Day and the birthday of Hans Christian Andersen. Helen McKinlay read her hilarious Grandma’s Kiwi Christmas and told us to look out for her contributions to the Tuesday Poem, an international poetry blog based in New Zealand. 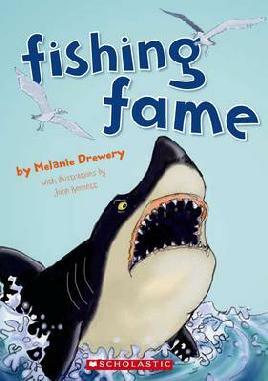 Melanie Drewery was visiting from Golden Bay and shared Fishing Fame, one of her younger fiction books based on memories of growing up in the area and spotting sharks at Pooh Point where the run off from the sewage and freezing works was sure to attract these dangerous beasties and provide lots of excitement for sharp eyed children. Finally, Tim Tipene from Henderson, shared his thoughts on the power of books to transform children’s lives with healthy messages. 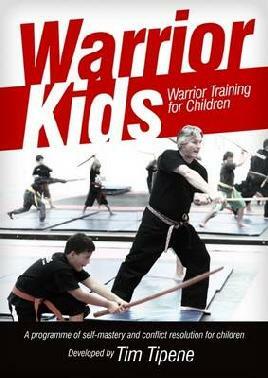 He is the author and facilitator of the community programme Warrior Kids which aims to help adolescents and children learn powerful and positive life skills. show lots of persistence because rejection letters were by far the norm from publishers in these days of tightening budgets. Christchurch City Libraries has lots of advice and helpful links for aspiring writers on its writing page. And the publishers’ guide for children’s writers and illustrators is now online. The school holidays are a fantastic time to connect with your children over a book. 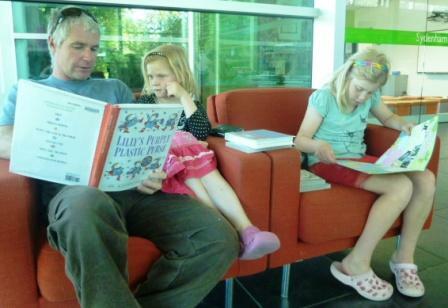 We spotted this family enjoying the sun and their reading at South library yesterday. Nine year old Lucy is busy filling out reading logs for the Summertime Reading Club. She is hoping to win the iPod Touch and get to the prizegiving where three lucky children are able to choose books straight from the shelf at Barrington Paper Plus. Visit the Kids blog to find out more about the Summertime Reading Club and read the latest information about the film of War Horse and the prize pack to be won. You can even join up as a kid blogger! Every week you will find new book information and star authors to learn from. But the fun doesn’t have to stop with the holidays. During term time the library learning centres run online book clubs after school and we are about to start e-Book Writing. Our book clubs are for children from eight years old and they learn the most up to date features of today’s libraries: how to use the new catalogue and how to keep an online reading log. Plus lots of fun activities on and off line. You’ve probably heard heaps about e-books. 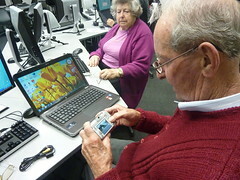 They are the latest thing and we are trialling an e-Book Writing Club after school on Friday at South Learning Centre. 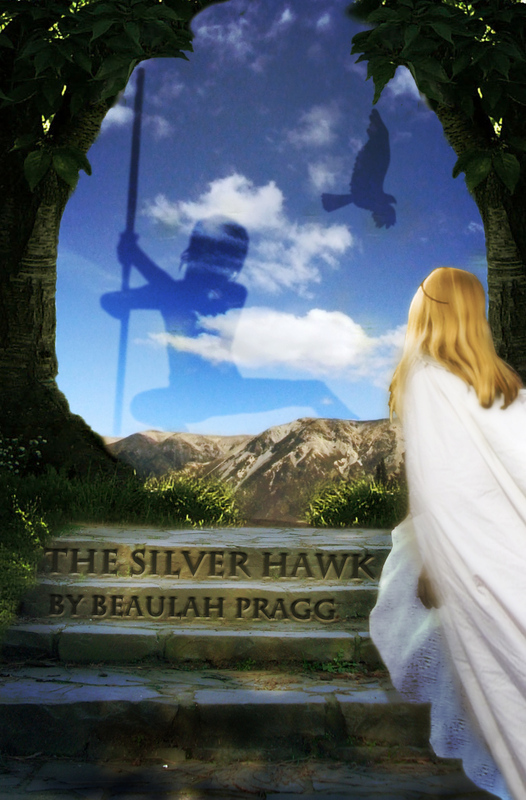 Taken by a local young author who has published her own e-book and who also has graphic art training, this course will help children learn to write, create and publish their own work. There’s a junior and a senior option. Ring 941 5140 for bookings and more information. Why do so many Kiwi YA authors seem drawn to dystopian novel writing? Do we need a literary canon to match our cinema of unease? Perhaps our geographical isolation breeds introspection of the post-apocalyptic kind. 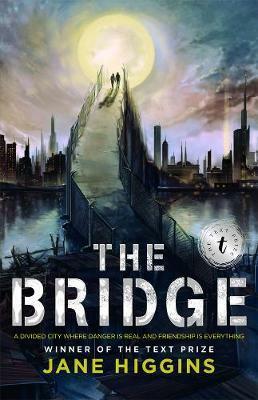 I have just read two new ,very similar examples of New Zealand teen dystopias: The Bridge by Lincoln University researcher Jane Higgins and August by Bernard Beckett. The Bridge won the Australian literary Text Prize and rightly deserves such attention. Although the setting is pure cliche – a futuristic divided city where the haves and have nots battle for limited life-sustaining resources – the first page grabs the reader and keeps up the pace throughout. Nik, a privileged city dweller is smart, a mathematics genius; but strangely the military elite corps ISIS don’t recruit him along with his less capable friends. Before he can find out why, his school is bombed. The hostiles from across the river have taken the bridges and are intent on plundering. Nik finds himself commited to crossing over to their side to find his kidnapped friend. August sings the same tune. Set in a futuristic city where some citizens enjoy privilege and others are shut out to scrabble for a living in the dust. But this is only revealed gradually through the conversation between a boy, Tristan and a girl, Grace, hanging upside down by their seatbelts in a crashed car. Their relationship is slowly unfolded in flashbacks and serves as an illustration of the state of the world they live in. The boy is from a religious order, and this theme of religious regeneration in the face of social upheaval is in both books. Reminiscent of the religious extremism in The Handmaid’s Tale, many writers seem to find it hard to imagine a post-apocalyptic world without some vestige of Christian belief systems. 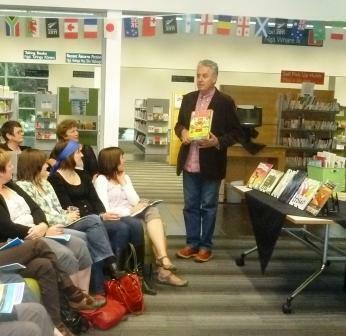 The Best and Worst Books for Children evening was attended by over 70 book lovers last night. Held at South Library, the audience keenly followed the advice from experts such as local author, Gavin Bishop, to enjoy the delights of picture books. 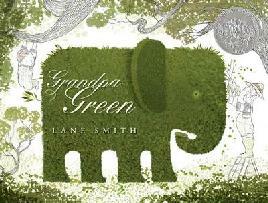 He gave special mention to Grandpa Green by Lane Smith which uses topiary as a metaphor for memory loss to help children understand Alzheimers. Heather Orman, a teacher from Thorrington school shared what works well in the classroom. One of her favourites for encouraging wonderful visual art and story writing was Tell me a Dragon by Jackie Morris. 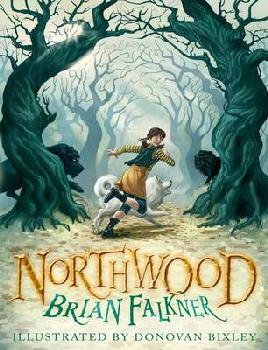 Sheila Sinclair of the Children’s Bookshop waxed lyrical about the beauties of Northwood by Brian Falkner and shared her store’s best sellers for the year. 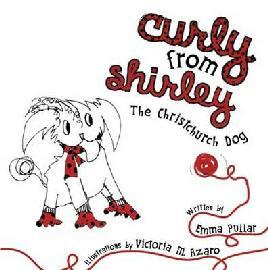 No one guessed the Auckland top seller, which was Curly from Shirley by Emma Pullar. Sheila felt this expressed in a very tangible way the positive wishes of other New Zealanders for Christchurch’s recovery. Louise Easter, children’s literature expert from Christchurch City Libraries shared her selection of books that were perhaps not at the top of her Christmas list and you can read the full list of the libraries’ recommendations for good holiday reading for children and young adults on the library website. One of the post-earthquake jokes that has been circulating is: You know you’re from Christchurch when there are university students congregating in your street and no-one is calling the police. University students are now synonymous with good works and schemes. And Christchurch City Libraries’ customers have been the happy recipient of a good deed from the tertiary fairy godmothers. Eighteen lucky library customers were able to attend Baby Opera at the Christchurch Arts Festival last Sunday thanks to the fundraising of some University of Canterbury students. As part of their Management paper, the students had to arrange a community event that benefits people affected by the earthquake. Atawhai Murray, the project leader, decided it would be nice to send some library customers to the Scottish opera session at the Festival. Funds were obtained from a local church trust and other sponsors. They went towards tickets, a Te Reo handbook and a shoebox of love. 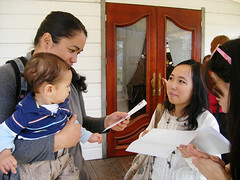 A prize draw was held at each Baby Time session around the library network. Margaret Clune from our Events team was pleased to be able to offer such a positive gesture to customers, and worked hard to distribute entry forms and inform each lucky winner of their success. There were many fathers attending with their children, making it a special Father’s Day occasion. Comments were glowing and many spoke of the wonderful blend of fun and learning. A mother of three said it was lovely to see something new and fresh for little ones. Some of our Children’s Librarians were also able to attend as part of their professional development, and they reported that it was very interactive and perfectly targeted for babies. It also gives parents good ideas of things they can do themselves at home. Customers were given a take home pack with a CD. Despite some libraries being closed, there are still at least twenty free Baby and Story Time sessions being offered. The Families Outreach librarian is offering weekly sessions at several locations in Sumner and arrangements are being made to offer sessions at South City Mall. Baby Time caters to under twos. 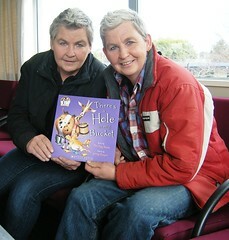 It has age-appropriate songs and activities, taken by highly trained library staff. Story Times incorporates more early literacy activities and prepares children to read, while still offering lots of songs and fun. The library website offers plenty of good advice for parents of young children and if your child is about to turn four years old visit any library and pick up your free Ready for reading birthday pack. Warmth and sunshine greeted the Storylines Free Family Day at Cobham Intermediate on Sunday 21 August. Organisers estimate at least 1,500 people passed through the displays, competitions and performances over the five hours of the event. Normally held in the Town Hall and attracting at least 3,000, chief organiser Kim Dovey was relieved not to host that many on the smaller site. The gym was packed to capacity for the main event – Jools and Linda Topp performing There’s a Hole in my Bucket, the song that provides the text for their soon to be released book and CD. Audience participation was encouraged and eagerly given. When the Twins beckoned the audience to dance along to their Untouchable Girls finale, the floor mats were jammed with little ponytails bopping to the beat. Mobile library bus proved as popular as always. They reported over 300 browsers. 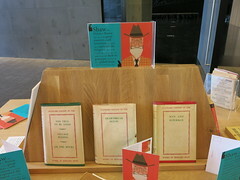 Other literary luminaries such as David Hill, Tessa Duder and Kyle Mewburn read aloud and mingled, while illustrators such as Helen Taylor displayed paintings of intricate beauty.